The new learning created a new kind of patron: the individual interested in acquiring objects to demonstrate taste and a high level of education. In the early part of the fifteenth century, this interest in amassing objects for personal use was focused on the collecting of manuscripts. Handwritten volumes were beautifully prepared in the new humanist script with carefully executed illustrations. 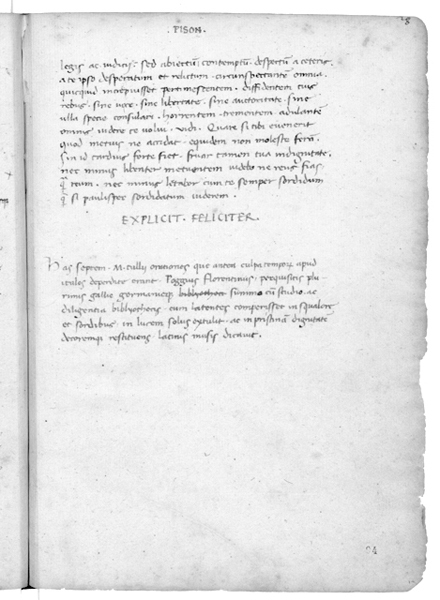 Religious texts were among the books collected, but a special value was placed on texts from the antique world that were uncovered in monastery collections and copied in the new humanist script for special patrons. 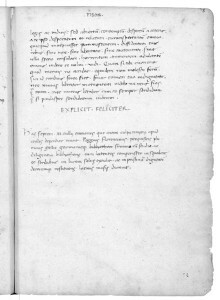 A particularly fine example of a luxury manuscript is the copy of the world chronicle of Eusebius prepared by Bernardo Bembo, discussed above. 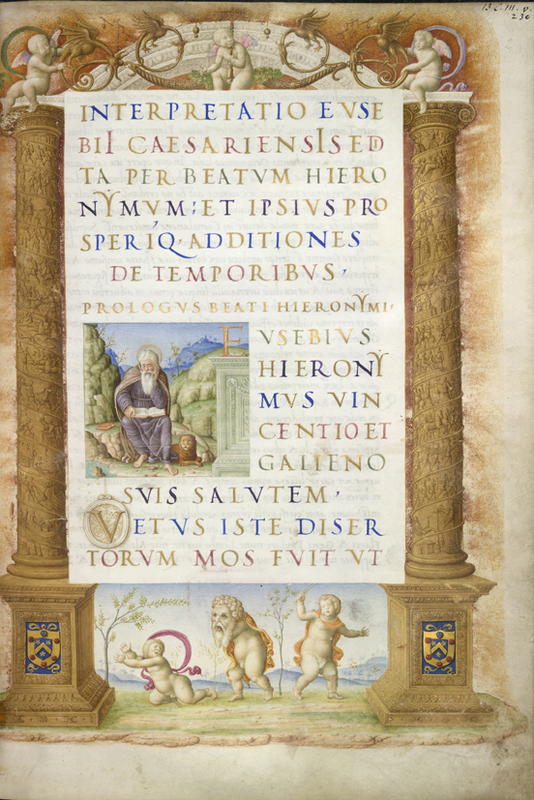 In a few instances, actual antique volumes were acquired by a handful of lucky collectors, as is indicated by Poggio’s notation to the manuscript he copied of Cicero’s Orations. Later in the fifteenth century, collectors would become interested in luxurious printed volumes, such as Aldus Manutius’s 1499 printing, with extensive woodcut illustrations, of the Hypnerotomachia Poliphili. The fifteenth century also gave us the first systematic coin collectors. Ancient coins were particularly prized. We hear of collectors assembling a type of visual history book by bringing together sets of ancient coins bearing the portraits of Roman emperors. The coins were often appreciated as visual objects—for the care with which the portraits were executed and their level of preservation. But their value as pieces of the past was paramount. For Petrarch, the father of humanism and the first modern collector of coins, the miniature gold and silver images of the ancient emperors, inscribed with their names in tiny letters, were like memorials of persons from whose lives moral lessons were to be learned. Ancient medals—generally larger than coins and sometimes, like the coins, made in precious materials—were eagerly seized on. The demand for pieces of history encouraged the reproduction and re-creation of ancient coins and medals; some are so archeologically accurate that even modern scholars have been swayed by their seeming authenticity. Polykleitos and Praxiteles, the famous Greek masters of the past—names known from antique texts—was certainly an overstatement. 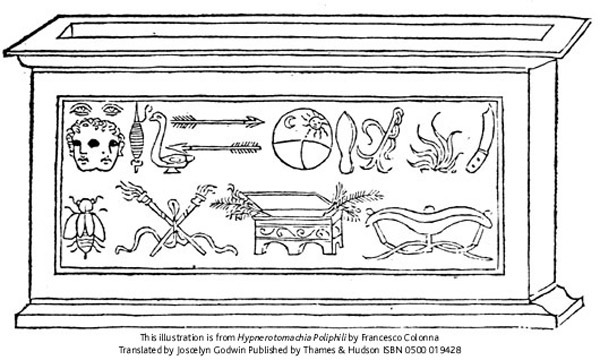 But the general tenor of the passage and the use of the names of Greek masters indicate the enthusiasm with which such antique artifacts were pursued. Amateur archeologists traveling in territories around the Mediterranean as well as in Rome began actively searching out physical pieces of antiquity that would bring a new immediacy to the past. For the learned collector, possessing an antique sculpture—small or large—was the absolute sign of discernment and cultivation. Collectors commissioned portraits of themselves surrounded by precious items from their collection, perhaps with a few extraneous additions that would bring further layers of meaning to the whole. 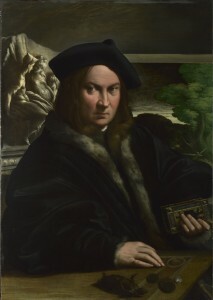 The portrait of an unknown collector painted by Parmigianino around 1524, now in the National Gallery, London, shows a gentleman well dressed in furs and velvet, surrounded by objects that would make up a sophisticated collector’s ensemble. Pride of place, on a shelf behind him, is given over to a large relief of Mars, Venus, and Cupid. If the collector did indeed own such a work of sculpture (no exact antique example has yet turned up), it would have been particularly prized, since the combination of Mars, the god of war, and Venus, the goddess of love, was considered in the Renaissance to represent the much-desired union of opposites to which the human soul should strive. Held in his hand, and thus given special value, is an elaborately bound book in the type of binding that was reserved for religious text—the collector thus shows himself to be pious as well as learned. On the table in front of him are several antique coins, an antique cameo, and a small bronze statuette of Ceres, the goddess of fertility and good fortune. In the sixteenth century a thriving industry of antique restoration and reproduction developed in the major artistic centers of Italy. Fragments from the antique past were completed with modern additions, often acquiring meanings completely at odds with their original identities. The work of archeologists and scholars of later periods has unraveled many of the mysteries attached to these assemblages. The learned collector, well versed in the layers of meaning that heroes from the antique past could carry, would commission works from contemporary sculptors that used ideas derived from antique models—but these ideas were often transformed in ways that conveyed particular messages for the present. 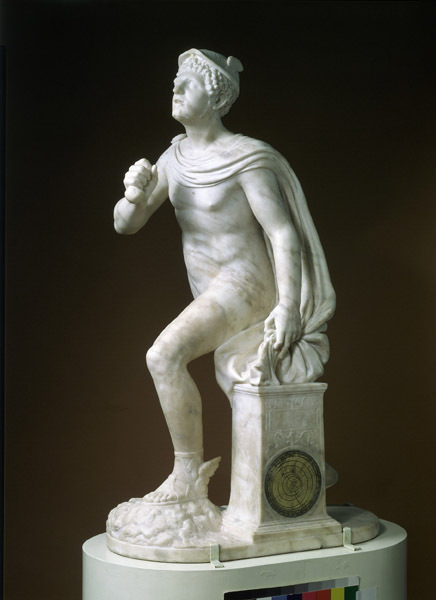 In 1527 the collector and connoisseur Marcantonio Michiel commissioned a marble statuette from the Paduan sculptor Antonio Minello about two and a half feet high, shows the antique god Mercury, energetically striding forward, ostentatiously displaying a money bag in his right hand. In the base of the statuette is a circular bronze insert that has been deciphered as presenting the horoscope of an exact moment in time: 7:00 a.m. on June 15, 1527. This date has been interpreted as having positive significance for Michiel, relating to his entry into public office in Venice. Thus a newly executed work of art, bringing with it aspects of the antique past, entered Michiel’s collection to suggest the good fortune that awaited him in the present. Works of art owned by important collectors were often copied in various forms for other collectors. A rare cameo from the collection of Lorenzo de’ Medici, depicting Noah, his family, and representative animals as they leave the ark, enjoyed a distinct fame not only for its beauty but also its owner. Thought to have been made in the thirteenth century, the cameo was so prized by Lorenzo that he had his name engraved in tiny letters (LAV. R. MED.) on the open doors of the ark. With that lineage, it is not surprising that the cameo was copied numerous times in various media for collectors not fortunate enough to own the original. 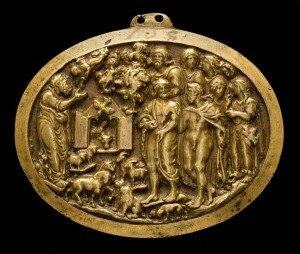 A good example of this kind of replication is the bronze version in the National Gallery of Art, Washington, cast from the original. The Renaissance also saw the first systematic collecting of objects from the natural world. These new collections included actual specimens of plant and animal life as well as the fantastic and imaginary—for example, unicorn horns (in reality, the tusk of the narwhal whale) and dragons’ teeth (sharks’ teeth). 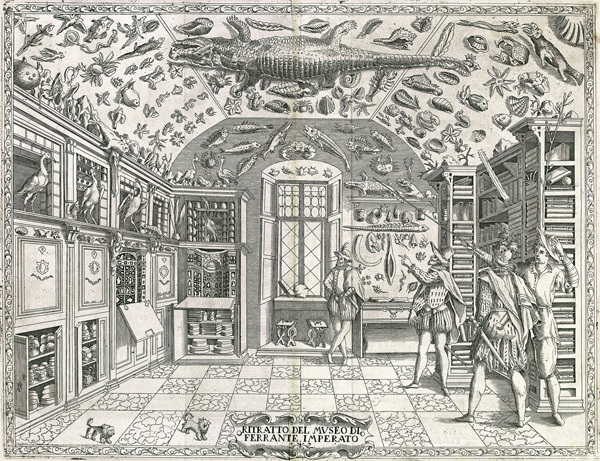 In their fully developed form, the collections would bring together antiques and objects of the physical universe in what became known as a Wunderkammer, or a cabinet of wonders. 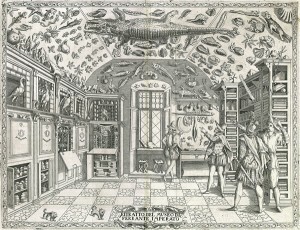 An engraving depicting one of the early cabinets of wonders appears in Ferrante Imperato’s book Dell’historia naturale, printed in Venice in 1672. These superb assemblages, profiting from the curiosity and intellectual adventurousness that characterize the new learning of the Renaissance, stand on the threshold of the modern museum.